Anybody else deafen their mom for Mother’s Day yesterday?! Cause I certainly did. Own goal or not, it didn’t matter, all that mattered was that Liverpool had somehow managed to collect another three points. It was a massive win for the Reds who needed to keep the pressure on Manchester City knowing the sky blues would be playing mid week. The first half for Liverpool started well, the lads kept a lot of possession and it was a great goal from Firmino to open up the scoring. The one thing missing? Fabinho. Many fans seemed confused as to why the Brazilian didn’t start and I was one of them. When he did enter the game later on in the match he instantly showed why he should have started. In the second half Spurs very much came into their own Pochettino being allowed to speak to his team in the dressing room after having to try and instruct from the stands obviously took his chance to motivate his team. Spurs proved a real threat and managed to equalise on 70 minutes thanks to Lucas Moura. I was a nervous wreck at this point, that wasn’t helped when Sissoko and Son made a break for Alisson’s net. I shouldn’t have panicked though because Virgil van Dijk had it covered. A phenomenal piece of defending from the Dutchman saw him expertly blockout Sissoko’s pass option to Son and simultaneously force Son into a shot on his weaker foot. Just superb. With the minutes ticking down Liverpool we’re now desperate to find a winner. It was clear at this stage the Reds wanted it more than Spurs and thankfully it paid off. A header back across goal from Mo Salah caused enough of a melee in the box. Lloris should have done better but fumbled his save and to make things worse Alderweireld turned the ball into his own net. Anfield went wild. 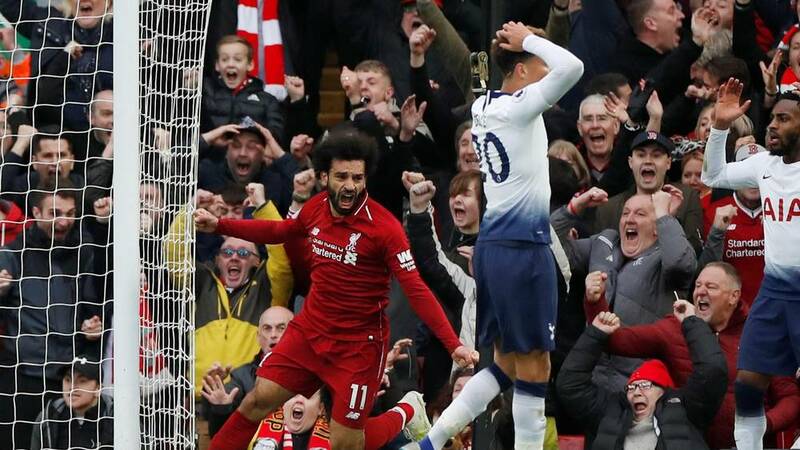 Mo looked elated, van Dijk booted a ball out the stand, I was jumping round me Mom’s living room screaming my head off. Absolutely mental. The relief after I’d calmed down?! Just crazy. Liverpool never do things the easy way and I’ve said it before, if we’re gonna win this title there’s gonna be moments like that. You need a bit of luck and thankfully things went our way on Sunday.